PHOENIX – Arizona officials are expecting a record turnout for Tuesday’s primary election, and they’re reassuring voters that their votes will remain secure. “We’re estimating for the first time in Arizona’s history, the raw number of voters participating in a primary will go over a million,” said Matt Roberts, spokesman for Secretary of State Michele Reagan. About 3.5 million Arizonans are registered to vote. State analysts believe about a third of registered voters will cast ballot in Tuesday’s primary. Roberts said the projected turnout is not attributed to a “blue wave” of Democratic support. It’s just that Arizona’s population has jumped. Still, people registering as Democrats outpaced Republicans in the latest counts. The Secretary of State’s Office released registration numbers ahead of the primary showing more than 21,000 voters registering with the Democratic Party since March, and Republican voters increasing by more than 5,000. But some voters likely are independents changing party affiliation, according to analysts. Noble said election day is becoming less important to Arizonans, who often vote early rather than head to the polls. Early balloting in the state began Aug. 1. “Election day is becoming not as big of a deal,” he said. According to the latest returns from mail-in ballots, nearly 75 percent of the 1 million expected voters in the primary already have cast their ballots. For voters who prefer to go to the polls, Maricopa County and state authorities have completed accuracy tests on all of Arizona’s voting machines and systems. 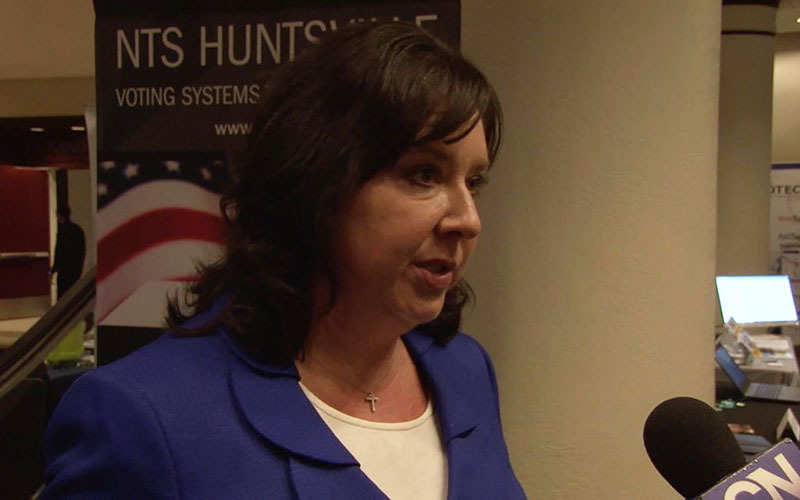 The Secretary of State’s Office also samples random voting machines throughout the state. Ahead of the 2018 primary, they found no flaws in the system. 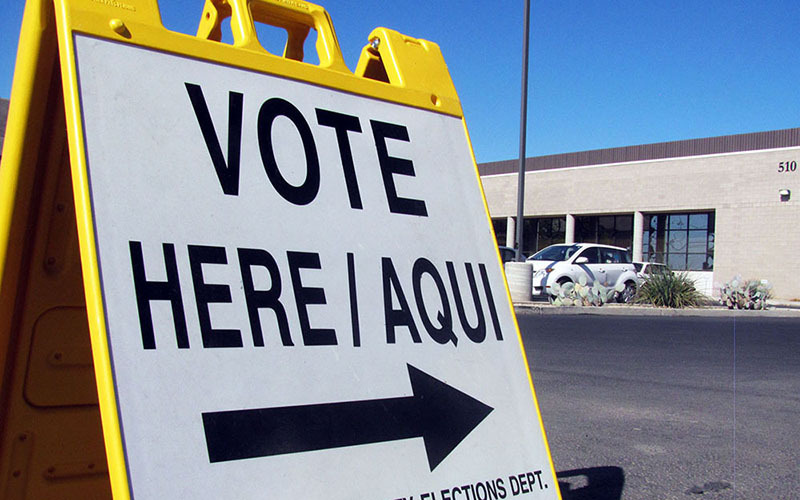 In Maricopa County, the state’s most populous at 4.3 million residents, election security is a priority, said County Recorder Adrian Fontes, whose office oversees polling places. “Our custom system has been vetted through several layers of security checks,” he said. About 4,000 people are expected to work the county’s 500 polling locations, including 40 “bonus vote centers” where any registered voter can cast a ballot, regardless of their assigned polling place. “The voters have really turned out big in 2018 as compared to 2014, so we are still training folks and we will continue to do so,” Fontes said. In 2016, about 930,000 voters participated in the midterm primary elections. But even with that training, he said, his staff will be keeping a close eye on polling places to address problems.